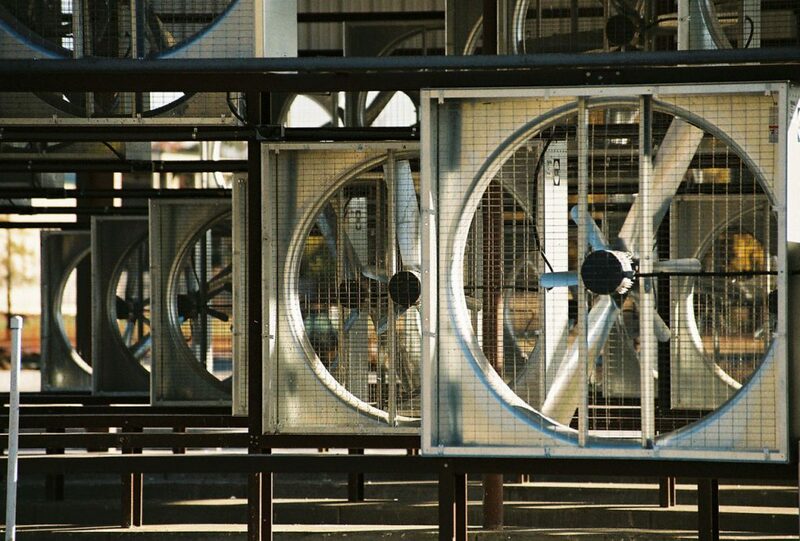 HVAC is short for heating, ventilation, and air conditioning, a market that is well served in powder coating. The prominence of powder in this market is a given as many of the components for this sector would be manufactured in some type of metal. Coatings used in this industry would require powder coating for either protective reasons and/or for aesthetics. Both steel (where protection and corrosion resistance are very important), galvanized and aluminum are frequently used as substrates of choice. Many of these industries produce product that is for both interior applications and also exterior applications, often one system that is used in both situations. Examples of this type of product are industrial air conditioners, home furnaces, electric heaters and vent registers. Coating requirements are varied. For heating systems, there are often components that require heat resistance due to their operation at elevated temperatures. Home furnaces are usually indoor, but many industrial units are combination heating / cooling units that are set up and installed mostly outside, such as rooftop heating / cooling installations. Textures are common in this market.